Looking for unique treasures from around the world. Turn your home into an inspiring collection of things from around the world. In January 2017, three of us left our families to adventure through India. This was not an organized tour. This was an epic 1200 kilometre adventure on a motorized rickshaw (a glamorized lawnmower with a backseat). 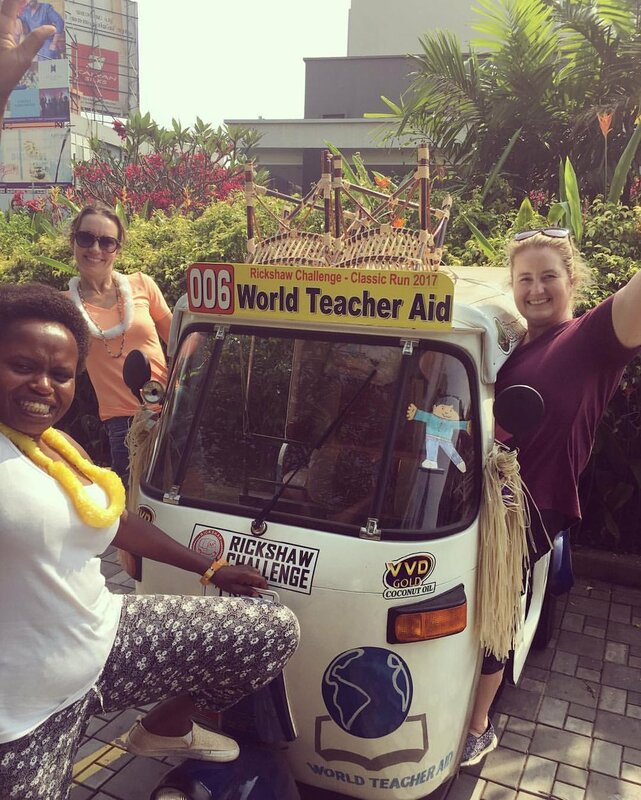 This adventure was designed to raise money for World Teacher Aid, a Canadian charity that helps bring education to students in rural communities of Kenya. The three women on this trip included myself (Amy), Founder of World Teacher Aid and proud mom of two children under five, Carey, a southern gal from the USA and Project Manager for World Teacher Aid, and Irene our NGO partner in Kenya who left her fiancée to drive over 1200 kilometre from Chennai to Travindrim. Together we navigated our way through the insane streets of many cities, to the countryside and endless fields. We got lost many, many times. Some days we drove for 12 hours, trying to locate our destination each day. We broke down, ran out of gas all while eating local cuisine and meeting some incredible, very helpful people along the way. We cried, laughed and encouraged each other to keep going when at times we were ready to give up. Brave enough to leave our husbands and family to explore a love of travel. What could you accomplish if you decided to be brave? That started our mission of brining some Travel Threads to others around the world. Check out some of our unique finds today. Travel Threads is a unique clothing and accessories line designed to inspire women and girls to explore the world. All of our products have a story.